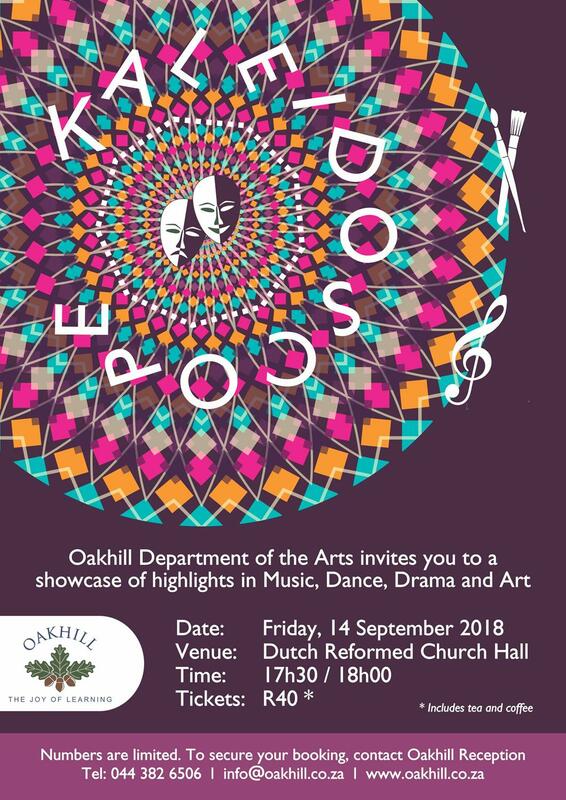 Our annual Arts & Cultural showcase concert will be taking place on Friday, 14 September 2018 at 18h00. 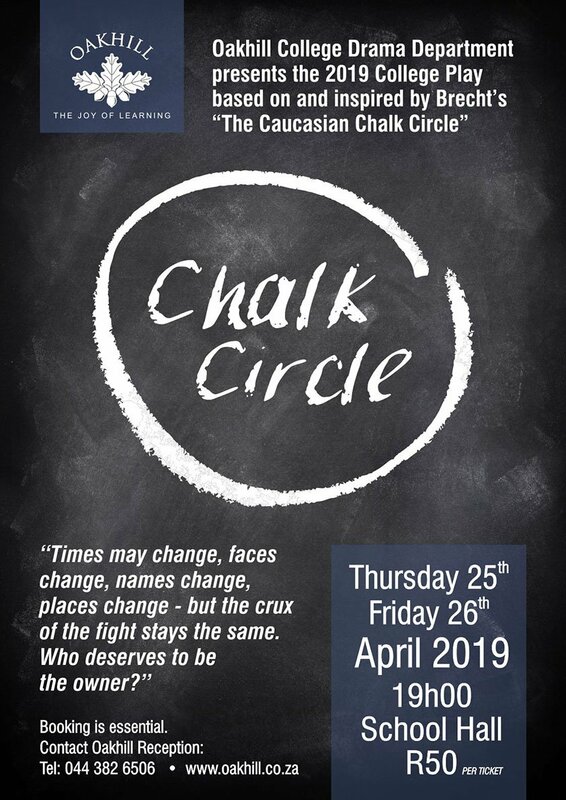 This will be a celebration of talents across all the phases of Oakhill School, featuring Prep and College Music, Drama, Art and Dance. 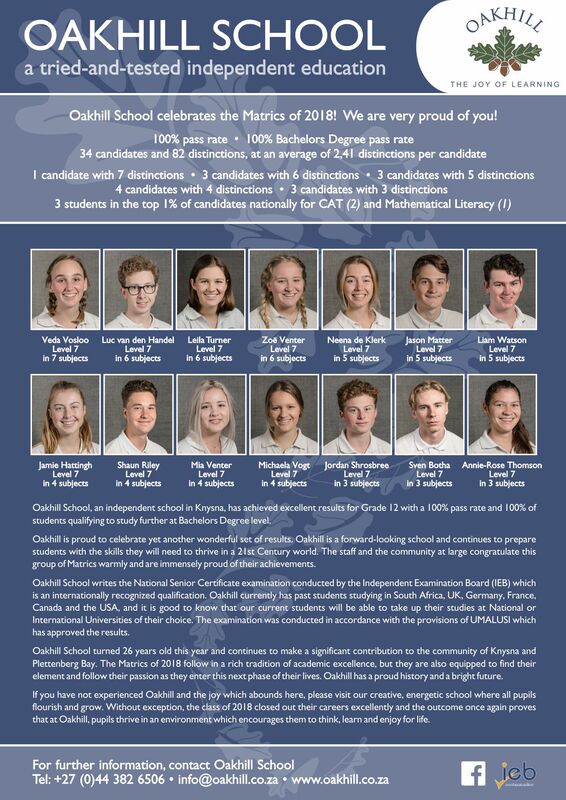 We are very proud of the outstanding results our pupils have achieved during the recent George Eisteddfod, and many of these items will be showcased during this concert. Due to a “one night” only concert date and the popularity of this event, we have decided to use the Dutch Reformed Church Hall (Voortrekker Street, Knysna) as a venue rather than our school hall, as it can accommodate a larger audience. Tickets for the KALEIDOSCOPE CONCERT are R40 and will be available at Oakhill Reception. Be sure to get your ticket and please also let family and friends know. The doors open at 17h30 and the concert will start promptly at 18h00. Tea and coffee will be served during the short intermission. While cooldrinks will be available to purchase there will be no food. We look forward to a very entertaining evening of Music, Dance, Drama and Art!